Have you reserved your room/facilities request with Marilyn Good? If not, please contact her at Marilyn Good or at (512) 478-5684 ext 204. All events should be booked with Marilyn Good prior to communicating publicly. Does your event require online registration? If online registration is required, please list event contact (name, email, and phone number). This person can receive event registrations. If registration is not required, please skip to next question. Description of event or news for bulletin feature. Limit 65 words. Please be as concise as possible. 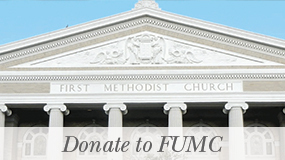 Include url for non-FUMC activities. 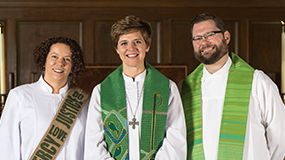 FUMC staff reserves the right to further edit material. Example: (who/what) FUMC’s Appalachia Service Project (ASP) team (what) is selling stock to raise funds for this year’s mission trip to Magoffin County, Kentucky,(date) July 17th-28th. (about) ASP is funded through generous giving of this congregation and donations from friends and family of our youth and adults. Team members will be selling stock on sidewalk outside our buildings before and after our worship services through July 5. Additional information maybe be submitted for posts residing on website. Limit 30 words. Image to include with article if space allows (JPG, PNG, GIF). Minimum of 200x200 pixels or larger and under 2MB in size. Reserved for additional images as needed (optional). Traditionally, one image is suffice.